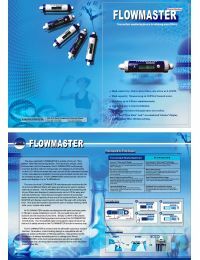 Real-time "Flow Rate" and "Accumulated Volume" display. Monitors up to 6 filters simultaneously. Bar display for residual filter life. Independent filter life value setting. Built-in audio alarm alerts user for filter change. Monitors used time up to 99 hours. Quick and easy 2-step installation, separate plate included for quick mounting. FDA-approved materials guarantee user safety. Built-in memory chip to secure consumption information.